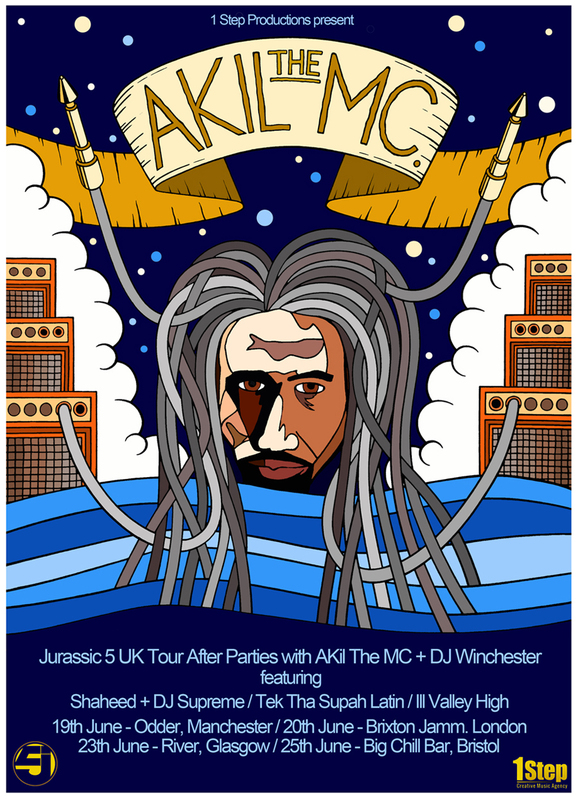 To celebrate Hip Hop legends Jurassic 5′s recent world tour, vocalist Akil The MC will be hosting a series of After Show Parties on their UK Tour. Promoted by the fabulous 1 Step Productions, and featuring members of Akil’s family! Hand drawn and touched up in Photoshop.